Chartering — one of the priority activities of our company. The shipping often plays a main role in a question of the complex delivery of cargo because the freight rates are unstable and depend on some various factors. Under conditions of rapidly changing market at times it’s enough difficult for client to orient among a lot of specific terms used in chartering. The most important for the chartering broker is not only to calculate a sea (river) transportation component, but also to find an optimum vessel for your cargo parcel, taking into consideration at the same time real possibilities and wishes of the client. At the time of long-period work managers of our chartering department had set reliable business relations with many largest ship-owners/operators, whose fleet is regularly trading in basins of Azov, Black and Mediterranean seas. Also we successfully cooperate with some ship-owners in a matter of joint fleet’s operation. The core of our fleet base consists of river-sea type vessels by deadweight of 1000-7000 tons, which successfully handle wide range of cargoes and as much as possible fit for features of ports of abovementioned regions. 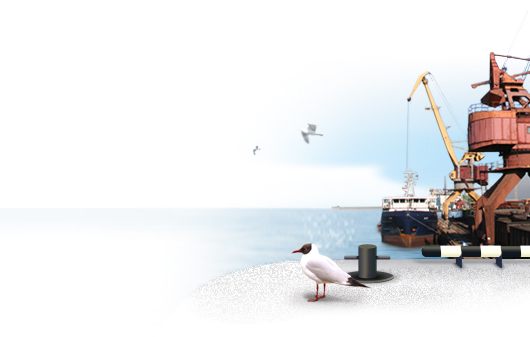 We are ready with pleasure to offer to ship-owners/operators various ways of cooperation. Owing to a territorial location the main efforts are focused on shipments from/to Russian ports of Azov sea, especially port Yeisk. Also we do not ignore ports of all Mediterranean basin. Short listed transport terms of the trading contract (if any). For this purpose you have to fill in the chartering order (request for shipping).